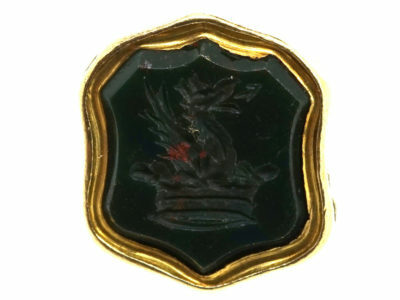 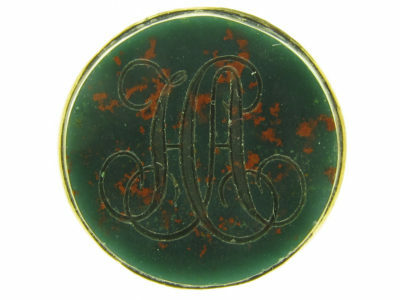 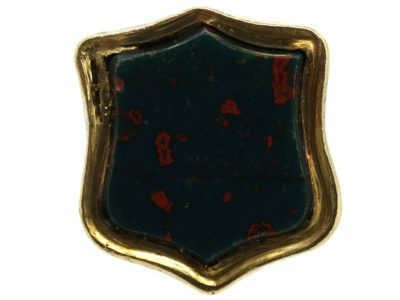 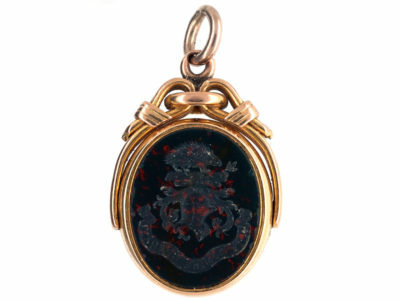 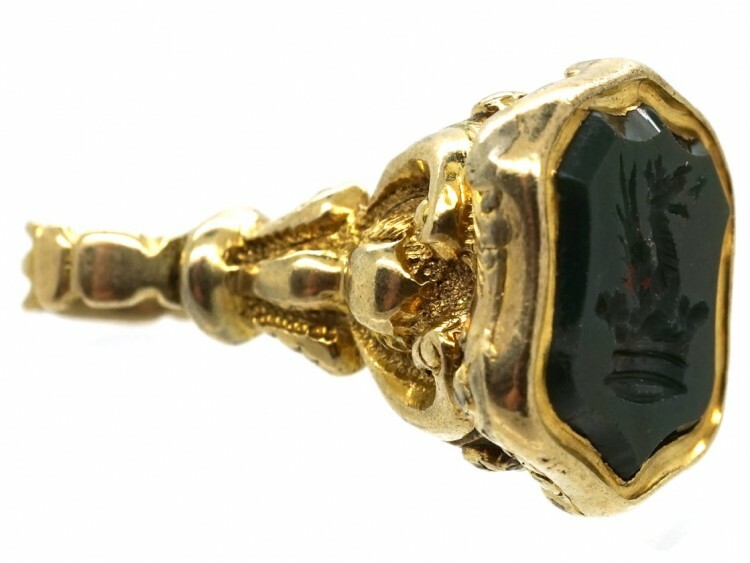 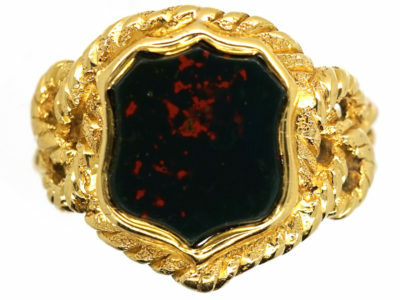 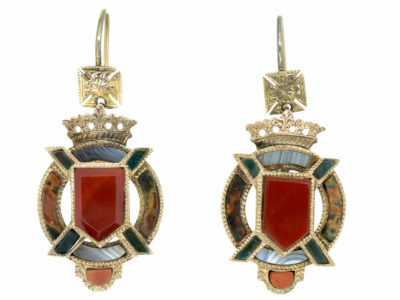 A lovely early Victorian gold cased seal with a shield shaped base set with a bloodstone. 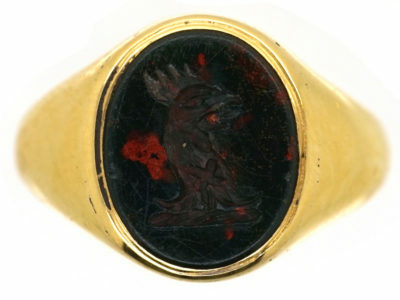 The intaglio is an Earl’s crest with a crown and griffin. 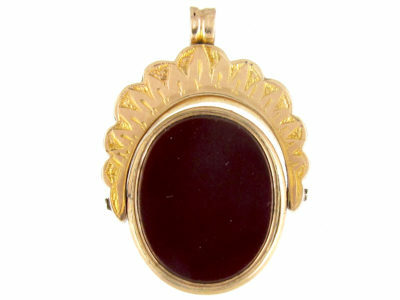 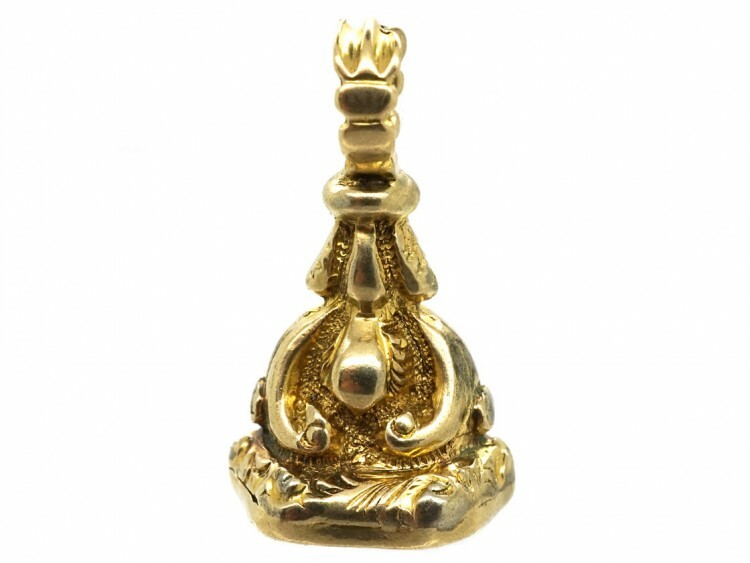 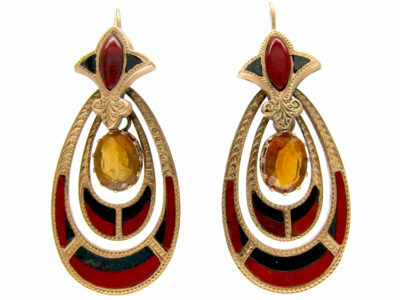 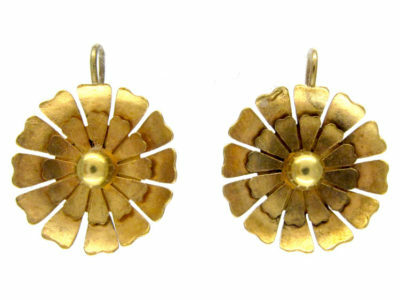 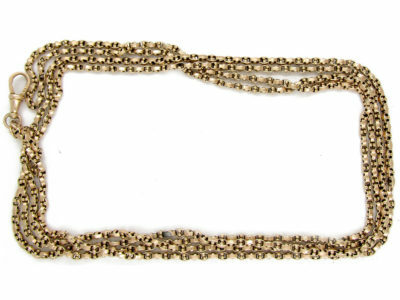 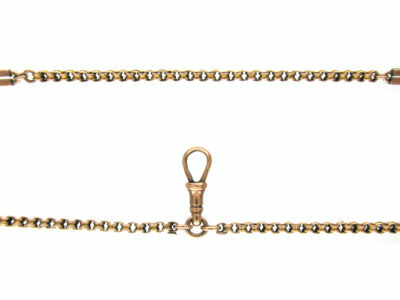 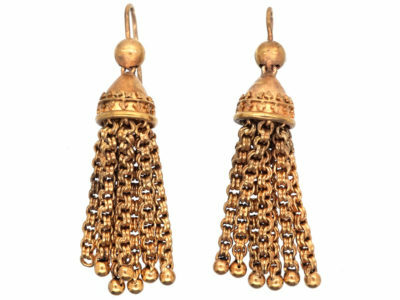 It would look great worn with other pieces on a chain or on a bracelet.